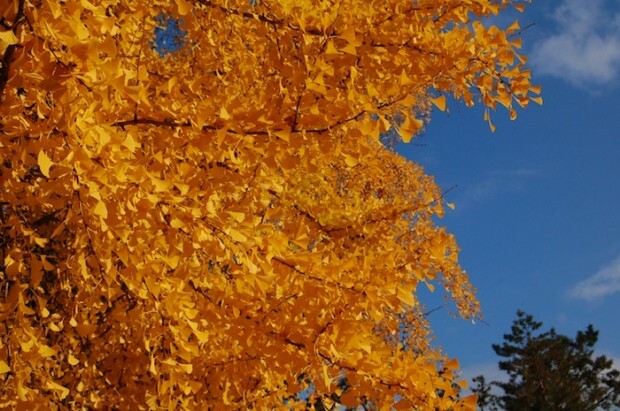 Green tour Kyoto | travel information in JAPAN » Blog Archive » Exploring yellow autumn! Of course I enjoy walking as looking at the season changing, especially in the morning time every day. I take my son to his school through the Imperial palace (京都御所) every morning. Trees in the park have changed their color since last month. 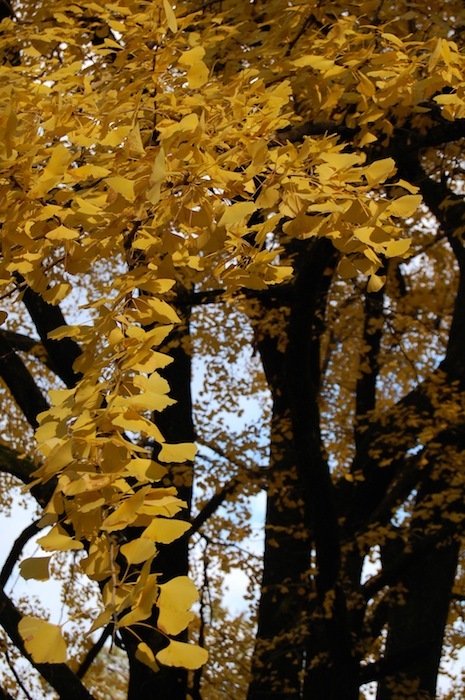 Today, I focused the yellow, so ginkgo, actually ginkgo in the imperial park are amazingly big and magnificent. 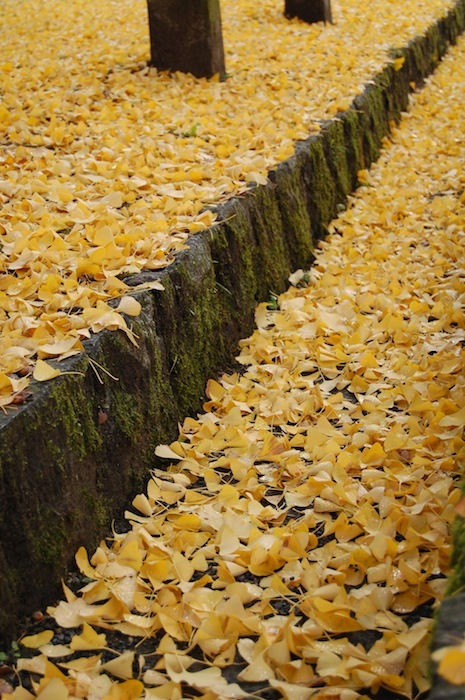 Especially I enjoyed the yellow carpet made by fallen leaves. 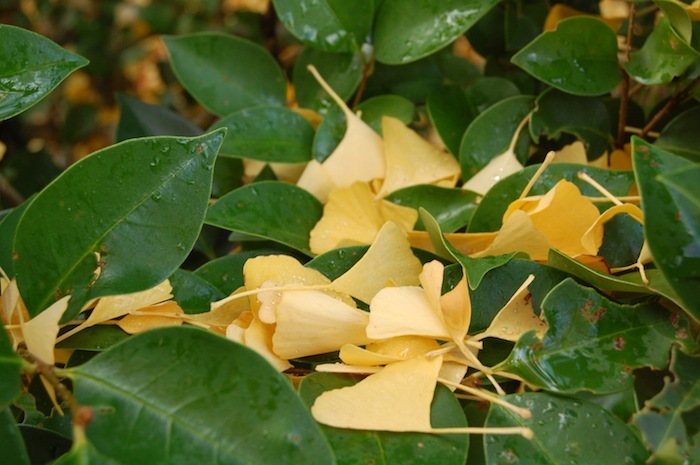 Yellow on the leaves are also cute! I think people has learned the artistic sense from nature. In other words, color scheme, composition, design created by nature are absolutely the best compared to those of man-made. The town color will become to monotone one month later. We wait for a colorful world after winter. 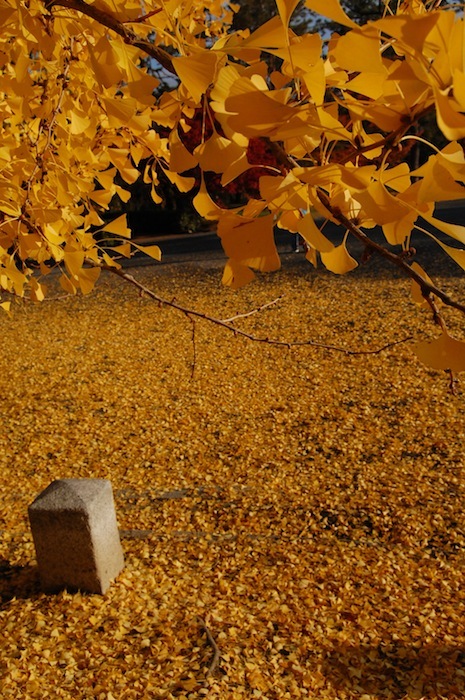 So enjoy the beauty in autumn even though anywhere in Kyoto are crowded and you’re exhausted! !